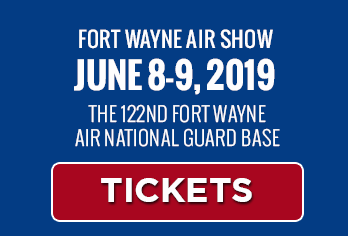 We are delighted to have several of our hometown A-10 Thunderbolts that will be flying at the show. The 122nd Fighter Wing, flies the A-10 Thunderbolt II out of the Fort Wayne Air National Guard Base in Fort Wayne. Known as the "Black Snakes", Fort Wayne's A-10's will proudly display our local Air National Guard aircraft assets. 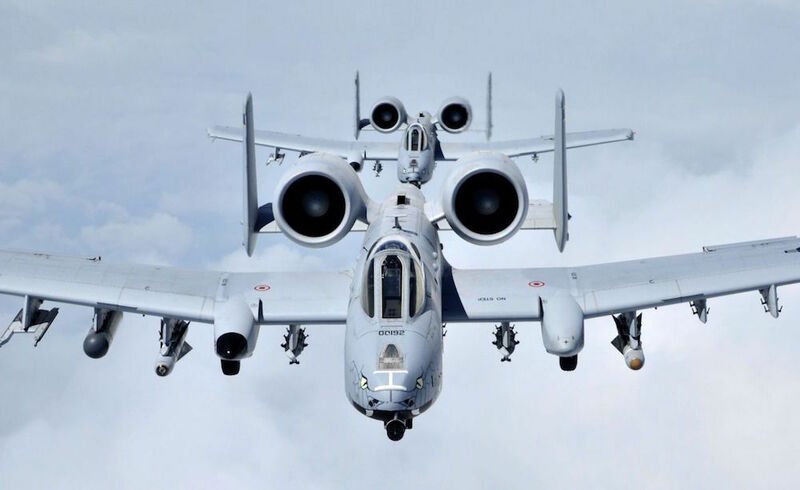 The A-10 was designed for close-in support of ground troops, close air support, providing quick-action support for troops against helicopters, vehicles, and ground troops. It entered service in 1976 and is the only production-built aircraft that has served in the USAF that was designed solely for CAS. Its secondary mission is to provide forward air controller – airborne (FAC-A) support, by directing other aircraft in attacks on ground targets. Aircraft used primarily in this role are designated OA-10. The A-10 was intended to improve on the performance of the A-1 Skyraider and its poor firepower. The A-10 was designed around the 30 mm GAU-8 Avenger rotary cannon that is its primary armament. Its airframe was designed for durability, with measures such as 1,200 pounds (540 kg) of titanium armor to protect the cockpit and aircraft systems, enabling it to absorb a significant amount of damage and continue flying. Its short takeoff and landing capability permits operation from airstrips close to the front lines, and its simple design enables maintenance with minimal facilities. The A-10 served in Operation Desert Shield, and Operation Desert Storm, the American intervention against Iraq’s invasion of Kuwait, where the A-10 distinguished itself. The A-10 also participated in other conflicts such as Operation Urgent Fury in Grenada, the Balkans, Afghanistan, Iraq, and against the Islamic State in the middle east. The A-10A single-seat variant was the only version produced, though one pre-production airframe was modified to become the YA-10B twin-seat prototype to test an all-weather night capable version. In 2005, a program was begun to upgrade remaining A-10A aircraft to the A-10C configuration with modern avionics for use of precision weaponry. With a variety of upgrades and wing replacements, the A-10’s service life may be extended to 2028.